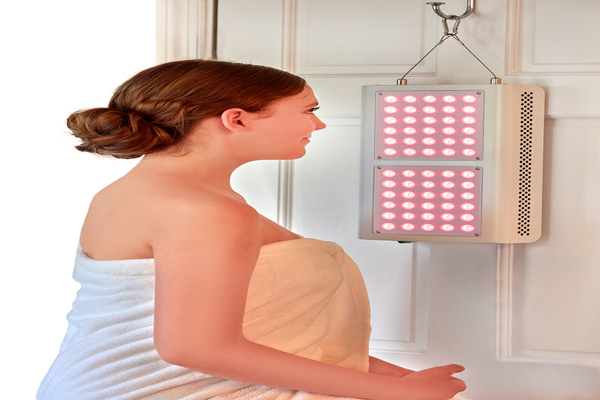 Joovv Launches The First Body/5 Minutes In-Home Professional -Grade Light Therapy Device! Most women start thinking about anti- aging techniques in their mid- 30’s. In reality, that is late; you should start in your 20’s as the collagen production levels begin to reduce. How you care for your skin in this decade will determine what kind of damage you deal with in your thirties and forties! Staying out of the sun is crucial. The good news is that studies have proven red light therapy indeed stimulates collagen production. Many of my friends own the popular hand- held devices. For the first few months, they typically kept to a routine but having to sit and hold the device on each section of my face grew tiresome and then it’s another device gathering dust in your closet. I was thrilled when a colleague informed me about Joovv.com, which is the first full body, hands-free red- light therapy. The innovative designers of Joovv recently introduced their Joovv Light Max the in-home red light therapy device designed to treat the entire body with professional-grade power. Most at- home light therapy devices are hand-held and can only treat a small area of the body at a time. You are required to deal with the desired area for roughly 20-30 minutes to see results. But how many busy women have time to sit and treat each area? Typically the results are often less than what was expected, or women give up after a short period. Joovv - https://joovv.com has optimized the Joovv Light Max in size and power output so that consumers can treat a significantly larger area of the body in only 5 minutes. It delivers over 3 Joules of therapeutic energy per minute across an area of about six ft. By four ft. And with the ability to hang the device from an interior door, at-home light therapy has never been easier! Our cells are mostly given an energy boost when they absorb light, specifically red light wavelengths at 660 nm. Studies have shown this energy boost enables our cells to do what they were designed to do at a faster rate - up to 200%! This includes functions like removing waste and toxins, collagen production, and repairing tissue. 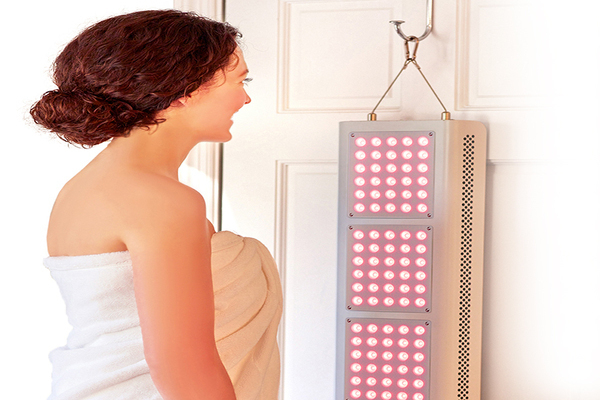 Red light therapy has been approved by the FDA, and its effectiveness has been studied throughout the world. The most common wavelengths used in research are 630 nm and 660 nm, which is why Joovv designed their red light devices to emit energy in a tight spectrum of 660 nm. This is a game changer for all my readers and me! I've never seen something like this before, sounds interesting!